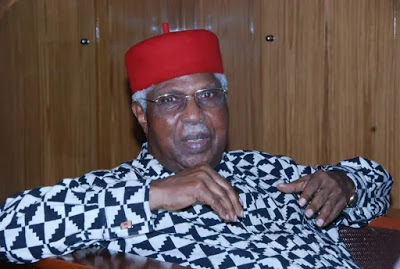 As part of the funeral arrangements for the late Vice President, Dr. Alex Ekwueme, the Anambra State Government has announced a state-wide public holiday on February 1, 2018. The Secretary to the State Government (SSG), Professor Solo Chukwulobelu, announced this in a statement. The statement read: “Please note that February 1, 2018 is work-free-day in Anambra State. All markets and businesses will be closed on that day to enable Ndi Anambra, friends, associates and well wishers to pay our last respects to the late vice president.